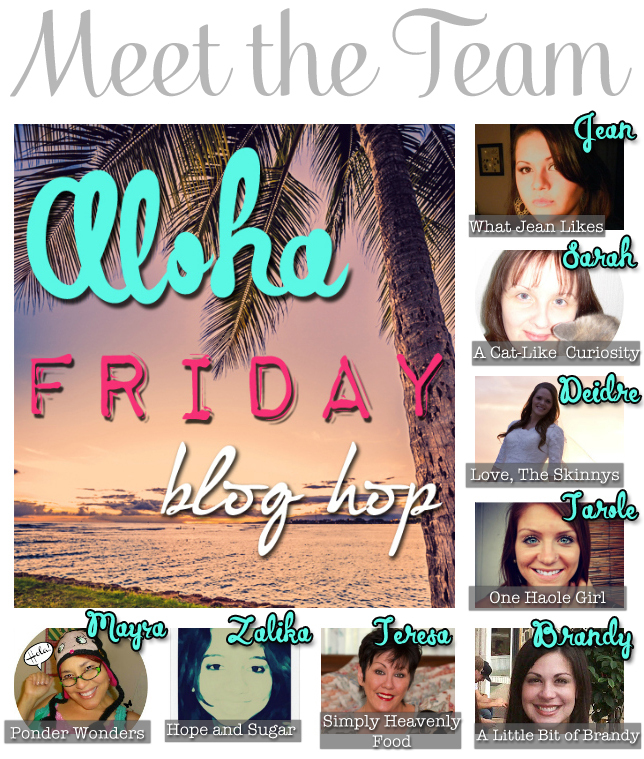 Aloha Friday Blog Hop, Share God's Love the Aloha Way!! The Aloha Friday Blog Hop is more than a "Friday" hop, it's a way to share aloha and friendship to our fellow bloggers all weekend long!! I consider this particular blog hop to be more of a weekend hop because Fridays are so hectic that a lot of people function on what we like to call "Hawaiian Time" here in Hawai'i which means they link up on Saturday or sometimes even Sunday which is just fine and dandy with me! That's why I keep it open from Friday through Monday because I sincerely believe, the more the merrier!! Judy from Judy HJ's Thoughts - A Twinless Twin. Judy blogs all about her struggles with losing her twin as well as some creative and inspirational ideas for everyday life. Want a little taste of her blog? Check out these posts to find out what you've been missing: Yummy Peppered Steak. Delicious Jamaican Patties. Jamaica Skyscape. If you're not already a follower than you definitely should be! Now, let's link up and start spreading that Aloha shall we? I followed your lovely page back. All of us "Locals loves our stew and rice!!! I am glad that you enjoyed it as well!!! Have a Simply Heavenly Day!!! Aloha and Mele Kalikimaka!! !